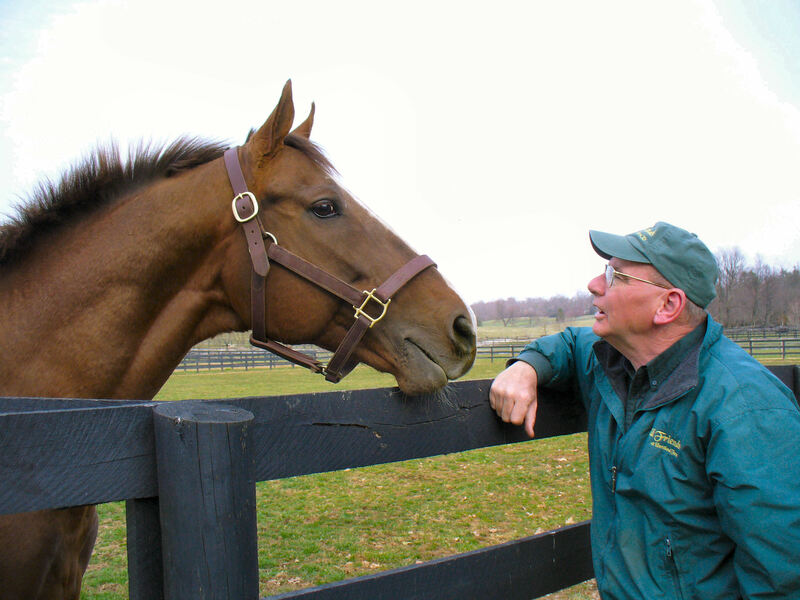 Michael Blowen didn’t set out to oversee a Shangri-La for ex-racehorses in the Kentucky bluegrass. He set out to teach film at Emerson College in Boston. When that didn’t work out, he went to work for the Boston Globe as an entertainment writer, and somewhere along the way horses got into his blood the way ink seeps into a newspaperman’s veins. It all began fairly innocuously. One afternoon at Suffolk Downs changed all that. He figured out how to unwrap those legs, and uncovered much more as he continued to spend time with horses. The issue of horse slaughter presented itself to Blowen in the kind of way that stuck with him for years. “I was at the Three County Fair in Northampton when a horse broke down. It was literally picked up in a front-loader and put in a dumpster,” says Blowen, who recalls in a later story in the Globe the unnerving sound a horse makes when it is loaded on a truck bound for slaughter. “I’ve never heard that sound since. I’ve never heard it around here,” Blowen says. At the time, Blowen never imagined he would go on to found an internationally known retirement community for ex-racehorses. 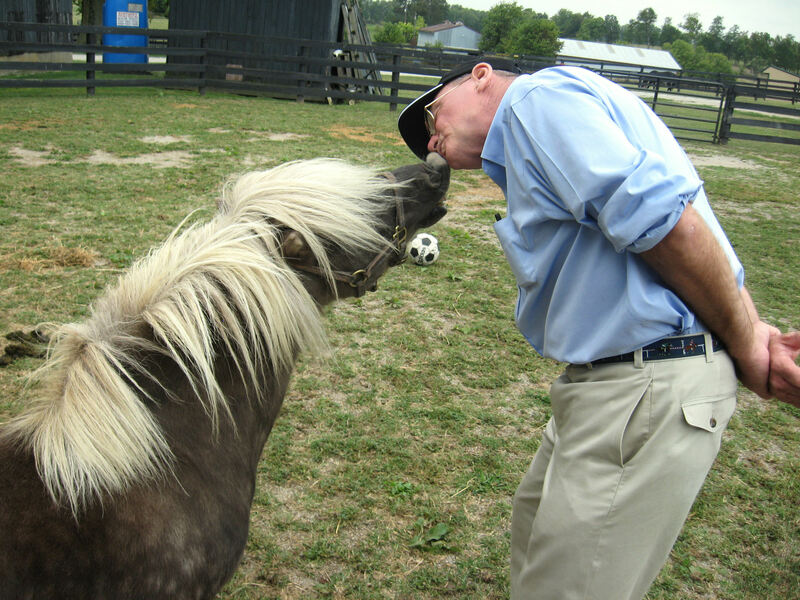 In 2002, he and his wife Diane White, longtime Boston Globe columnist, moved to Kentucky so he could accept a position as operations director of the Thoroughbred Retirement Foundation. A year later, he founded Old Friends at about the time that news of 1986 Kentucky Derby winner Ferdinand’s death in a Japanese slaughterhouse emerged. Blowen now dedicates a page of his website to Ferdinand, and vows nothing like that should happen again. Old Friends has come a long way since humble beginnings with two horses and a small tract of land. He has amassed friends like Madeleine Paulson, owner of Cigar and other famous racehorses, and Jerry Moss, owner of Zenyatta. Supporters include movie star Angie Dickinson, who recently donated her Academy Award to Old Friends. And a team of hardworking volunteers helps care for 100 horses on 92 acres, and provides daily tours of the facility. “We have more stakes winners here than any farm in the history of racing,” Blowen says. As he continues an all-out effort to return great racers from Japan, and make room for the former champions, Blowen continues to hone his writing. He is working to complete a draft of his experiences in the horse world. “When the news that Ferdinand was killed in Japan came out” it galvanized the interest in horse rescue, Blowen says. On his website, he sums up the reaction to the news that drew attention to the plight of these horses. Nice article. Do one on Carlos. He’s loaded with stories. Intimately, your content is often the greatest for this valuable topic. To be sure with the conclusions and may thirstily expect your upcoming updates. Just saying thanks won’t just be sufficient, to the tremendous clarity in the writing. Wow, thank you Bryon. What a nice thing to write.